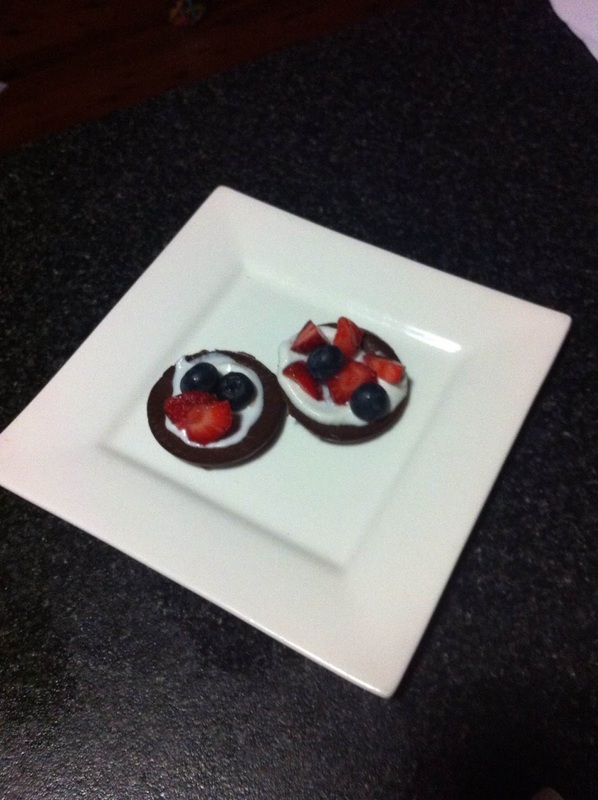 My sister and I love to get creative…especially when it comes to chocolate! This is the best chocolate I’ve ever tasted. Hands down! Plus, it is made from all natural ingredients–it is loaded with antioxidants and Love I like using only organic when possible. It is simple to make, only taking a few minutes!! Mix the raw cacao, coconut oil, maple syrup, cinnamon and sea salt together. Putting in enough sea salt is the trick. Play around with the chocolate until it is creamy, but not too runny. If it is to fluffy/powdery then you need to add more oil. I put it in the freezer and then after it sets I keep it in the fridge. Let me know if you try it. I would love to hear what you think!